﻿ Professional and technical services. IBM AIX 5.3 operating system, HACMP 5.3 (IBM dual-software) installation and maintenance, IBM FAST series of optical storage hardware installation, upgrading, and maintenance services. TEL:(8610)82666745 | www.chinama.com.cn | Beijing dark blue Rong Xin Technology Development Ltd.
Beijing dark blue Rong Xin Technology Development Ltd.
First, IBM RS6000 Minicomputer FAST series of optical storage hardware installation, upgrading, and maintenance services. 2) IBM RS6000 Minicomputer series of F85 (7025-6F1), H85 (7026-6H1), M85 (7026-6M1) Minicomputer upgrades, maintenance services. 3) IBM RS6000 Minicomputer series of F80 (7025-6F0), H80 (7026-6H0), M85 (7026-6M0) Minicomputer upgrades, maintenance services. 4) IBM RS6000 Minicomputer series of 170,270, S80, S85, H50, H70, and so Minicomputer upgrades, maintenance services. 5) IBM FAST series of FAST200, FAST500, FAST600, FAST700 and IBM LTO Library series in IBM AIX, HP-UNIX, SUN Solaris, LINUX operating system, such as the installation, maintenance services. 6) IBM Totalstorage line of DS4300, DS4400, DS4500, DS4800, DS6800, and other optical storage installation, maintenance services. 7) IBM P5 series p510, p520 and p550, p570 and other Minicomputer the installation, maintenance services. 1） IBM HACMP 5.3、 HACMP 5.2、HACMP5.1、HACMP 4.5、HACMP 4.4、HACMP 4.3Dual version of the software, such as the installation, maintenance services. 2）IBM pSeries 5 Series Minicomputer LPAR logical partitioning of the installation, maintenance services. 3) IBM TIVOLI TSM backup in the installation, commissioning and maintenance services. 1) IBM RS6000 Minicomputer MA series of maintenance. 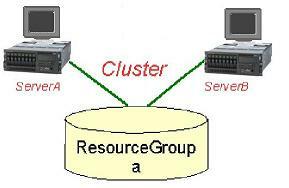 2) IBM FAST series of MA storage maintenance. 3) IBM LTO tape library maintenance of the MA. 1) Series Minicomputer hardware migration aspects. SMEs in a case are as follows: IBM Minicom two p650, p630 two Minicom, a p670 Minicomputer from one floor to another floor of Building Information Centre, the Information Centre on achieving. Before the shift for the main programme are as follows: 1), the system administrator all Minicomputer backup data. 2) Each line corresponds to the network switch ports cable labeling. 3) SAN connections online labeling, including each of the corresponding fiber Zone card label. 4) FAST600 optical storage drives labeling. 5) fiber-optic line labeling. 6) For two P650 HACMP done by the aircraft when the main labels. Shift the way for the main programme are as follows: 1) engineers carefully handling a host to a designated location. Shift to the main purpose of the programme is as follows: 1) a set of engineers to install p650 machines. 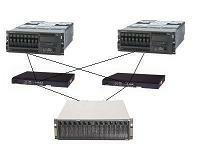 2) engineers installed SAN fabric switches 3) engineers installed FAST600 optical storage. 4) Engineers in accordance with the previous zone tags and labels fiber line connecting mainframe 5) in accordance with the previous network engineers labels to the network switch. 6) engineers installed p630 machines. 7) network engineers in accordance with the label p630 previously connected to the network switch. 8) p670 Minicomputer engineers installed, in accordance with previous labels connecting IO drawer. 9) network engineers in accordance with the label p670 previously connected to the network switch. Zhangjiakou in Hebei IBM LTO3583 a hospital with the installation of the service. Jilin City, a chemical enterprises IBM p650 machines + LPAR (four logical partitions) + HACMP (even software) installation services. Chongqing Municipality in a city hospital with the IBM LTO3584 + upgrade services in the Tivoli TSM backup software upgrade management services. Railway Bureau in Shandong Province a two p630 Minicomputer two H08 + HACMP FAST600 (even software) installation services. Two banks in a city two p550 Minicomputer + H08 + FAST600 HACMP (even software) installation services. Railway Bureau, a city two p550 Minicomputer + H08 + FAST600 + HACMP5.3 (even software) installation services. A city finance bureau two p550 Minicomputer FAST900 + H08 two HACMP5.3 (even software) installation services. Minicomputer the city Public Security Bureau p520 + Websphere software installation services. 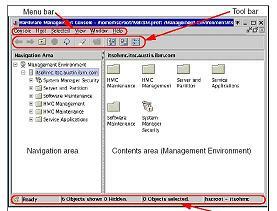 Oracle9.2 small and medium-sized enterprises in a city database installation services. Small and medium-sized enterprises in a city TIVOLI TSM backup software installation services. 6）Company：Beijing DeepBlue the Rongxin Technology Development Co., Ltd. Copyright © Beijing DeepBlue the Rongxin Technology Development Co., Ltd, All Rights Reserved.